PG NOT required for reading this post: Children below 18 years of age are not requested to take guidance from their parents and in the process spoil their image as well as mine. This picture is that of an amazing man. This guy is a medical wonder. He might be the eighth world wonder or the blunder, but believe it or not, this guy has his heart in his abdomen. Strange? This is the transcript of the discussions I had with CW. Me: I never wanted a Chinese Dress. Nor the famous chinese electrical goods. Hey! You! Dont plan to get anything for me. You: No way. I will be bringing in loads and loads. Especially for you. So, be ready for all the fundas coming for you from CHINA. Me: OK. If thats what will make you happy, what can i do? @lolz... saw that bush trying to hug chinese's premier's wife n he preventing bush frm doing it pics? 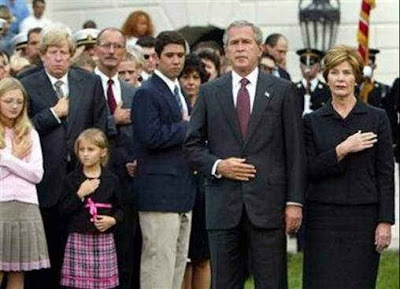 Haha, no wonder Bush is such a bad president...he can't even figure out where his heart is! yea!have seen it as a mail forward. is he a bad premier? The way to a man's heart is thru his stomach... (As usual, the intelligent me) hihihi! poor hubby of yours... do you cook at home?whats for lunch? hee hee ! Bush is world's favorite to make fun of ! U wanna check out my cooking? Please come over this Friday, am cooking something very... um... let's just say, interesting... been looking out for victims. hihihi! I remember the funny videos of Bush !! He is one person who will be linger in people's mind come what may..
Btw I like having cornflakes..certainly not like the one you have posted..